3D’s touch screen kiosks come internet ready with wireless service. This allows the welcomescreen to change in real time. 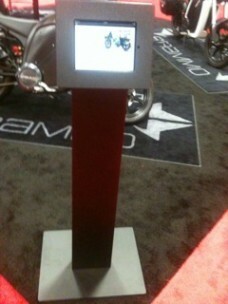 Touch screen kiosks are great for exhibitor listings, expo maps, surveys, directories or schedule of events.